Home Stories Women and Guns: The Future of the Firearms Industry? Women and Guns: The Future of the Firearms Industry? The firearm industry has had its ups and downs in recent years, but a continuous “up” has been the increase in female gun ownership across America. Although female gun ownership is less prominent in cities, in 2017, the percentage of women who owned a gun in the United States rose to twenty-two percent twenty-two percent of women in the United States owned a gun. There is no single reason for this increase, but self-protection, an increase in targeted marketing to women, and increased interest in sport shooting are major contributors. Self-defense is the primary reason that women own guns. For many women, firearms allow them to feel secure and confident that they can protect their children and themselves. This confidence and security can make a woman feel more empowered. Some women also find empowerment in guns because it allows them to engage in activities that are typically regarded as more masculine. Marketing messages that state that women are just as capable of shooting as men have proven to have very effective performance among women. Additionally, there has also been an increase in female participation in shooting for sport. Between 2001 and 2013, there was a sixty percent increase of female participation in target shooting and an eighty-five percent growth in the number of women who hunt. A great example of a successful woman in sport shooting is Kim Rhode. 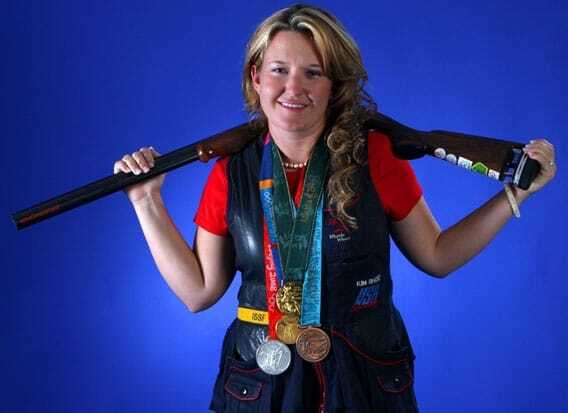 She is the youngest Olympic shooting champion in the double-trap competition at the 1996 Olympics in Atlanta. In addition to her Medal in 1996, she won an individual medal at six consecutive games and six consecutive Olympics. Regardless of whether women are buying their guns for self-defense or for sport, it is evident that they are buying more and more guns. Female consumers are becoming vital to the future of the gun industry in the twenty-first century and beyond.